Can anyone suggest a Bushy Low to Moderate Light plant? I need a plant that will grow in a tank of Wild Bettas and the water is brown colored with tannins so the light is diminished. The standard plants like Anubias etc. are not bushy or fine leaved enough. Wild Betta\'s like to sit in the fine leaved plants near the surface. Yeah, java fern is known to do well in low light setups but it\'s not as pretty as some other vareity of plants available in the hobby. The op is kind of old but here is a brief list if anyone needs some examples in the future. These would be relatively easy to get. 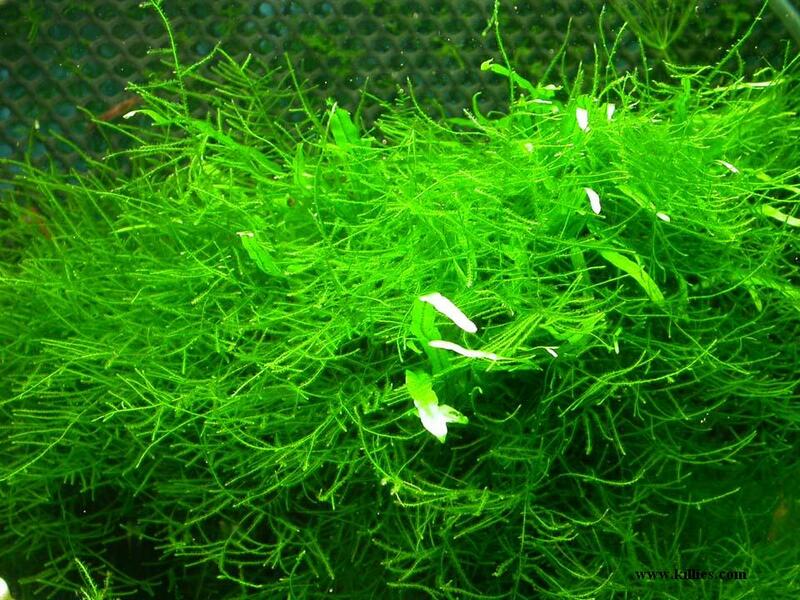 \nHornwort, ambulia, and java moss would best fit the "bushy" description. I never had discus before but I\'m going to guess that you want plants that will do well with higher temperatures? My initial ideas would be Vallisneria, Cryptocoryne, Echinodorus, Ludwigia, Hygrophila, Anubias. The ones listed above could work too. \nSome of those choices would depend on what kind of substrate do you have. Since I first posted this, I found an alternative to Low Light plants for my Wild Betta\'s. I use Water Sprite. \nWater Sprite does not require much care, likes medium light and when grown as a floating plant the roots hang all the way down towards the bottom of the tank offering hiding places for the Betta\'s. it also reduces the amount of light reaching the bottom of the tank which is good for many fish like Betta\'s that don\'t like strong light. Since I started using Water Sprite I have found that the fish love to hang out inside the dense root ball, resting between the roots a few inches below the surface of the water. The only problem with Water Sprite is that it grows so fast it can easily take over the entire tank so it has to be pruned once a month to keep it manageable. \nMy fish don\'t hide in the plants but they did appreciate the extra overhead cover when they were newly introduced. I leave them floating now because they look so attractive that way. Can anyone suggest a Bushy Low to Moderate Light plant? I need a plant that will grow in a tank of Wild Bettas and the water is brown colored with tannins so the light is diminished. The standard plants like Anubias etc. are not bushy or fine leaved enough. Wild Betta's like to sit in the fine leaved plants near the surface.